Elit’Avia, the Slovenian and Maltese business jet operator, is celebrating its 10th anniversary. It now has a fleet of 21 midsize to long range business aircraft. 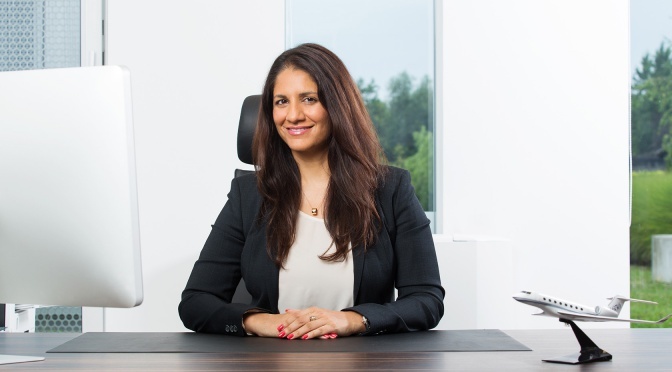 Puja Mahajan, Elit’Avia’s CEO outlines the company’s plans for the next 10 years. What do you see as the company’s biggest achievement? Our ability to grow strategically without losing sight of our clients’ needs and preferences. It’s a question of managing growth very closely while maintaining the correct ratio of staff to aircraft in the fleet. We believe in a ‘boutique’ approach. To best serve your clients, you need to know them – individually. Furthermore, we aim to anticipate clients’ needs in order to deliver a truly effortless experience. Can you highlight the toughest year for the company? The period around the financial crisis – 2008/2009 – was difficult for most companies in our industry. There was a massive contraction of spending in the global economy. In business aviation, one of the main challenges was that banks and other financiers adopted much more stringent standards. Obtaining financing for aircraft transactions became considerably more difficult – almost overnight. You have two AOCs, is this enough? Our AOCs in Slovenia and Malta have served us – and our clients – very well. These are not the most high-profile jurisdictions in EASA. And, that is a strength. Competitively speaking, Slovenia is very favourable compared to its neighbors. And, the government of Malta has created a tax-friendly environment for aircraft owners and operators. Having said that, we are always on the lookout for new opportunities to provide the best possible solutions – provided that these solutions are aligned with our philosophy of putting clients first. What is the secret to being a good aircraft manager? It sounds obvious but it needs to be repeated constantly: Listen to your clients! Clear communications and rapid response are essential to understanding clients’ needs. Additionally, we offer a caliber of service that makes the client experience totally effortless. Everyone on our team goes above and beyond to ensure that client expectations are not only met, but exceeded. Why should an owner use you? Elit’Avia operates at the highest industry standards – with Stage 3 IS-BAO accreditation from IBAC. Additionally, we have ten years of experience and more than 35,000 hours of flight time. Why should an charter customer use Elit’Avia’s VIP Travel Services? Because they expect the best! Our VIP Travel Services provide comfort, peace of mind and a single point of contact for all travel-related services. These services include: managing commercial flights, entry visas, ground transportation, hotels and other accommodations, optimizing upgrades and loyalty program points – and a multitude of other personalized concierge services. What is the best lesson you have learnt in 10 years? We have learned that our focus on highly-personalized service, combined with our culture of transparency, allows us to serve our clients in complete harmony. By applying these fundamentals consistently, almost any obstacle can be managed and resolved favourably for our clients. What will Elit’Avia look like in 2027? Elit’Avia will never be a large fleet organization. In a sense, we are market contrarians! At present, the industry is shifting towards consolidation, based on the premise of volume discounting. All too often, this leads to a decline in the quality of service. We are confident that a niche market exists for highly-personalized service and a modestly-sized fleet of aircraft. Our goal is to expand our portfolio of services while vigorously maintaining our standards and our commitment to our clients.